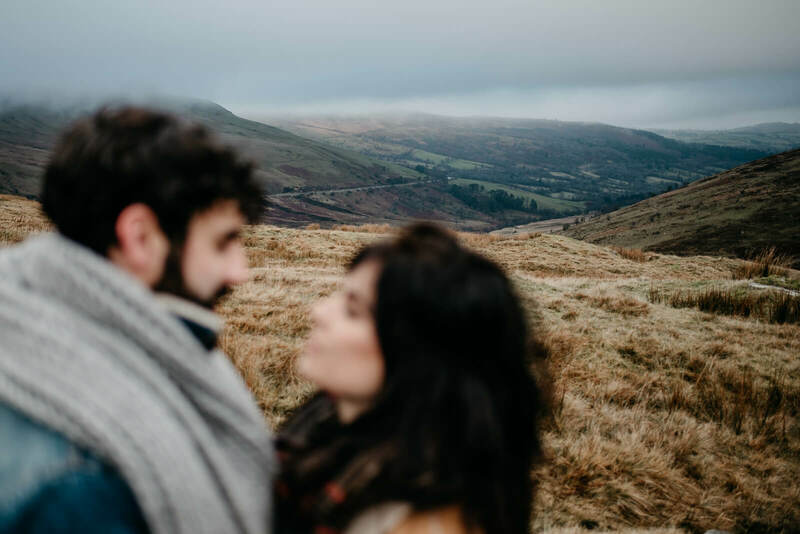 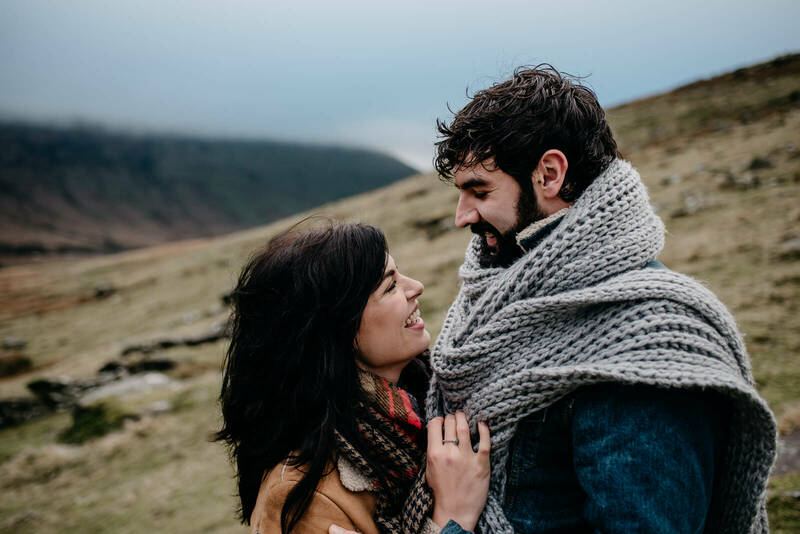 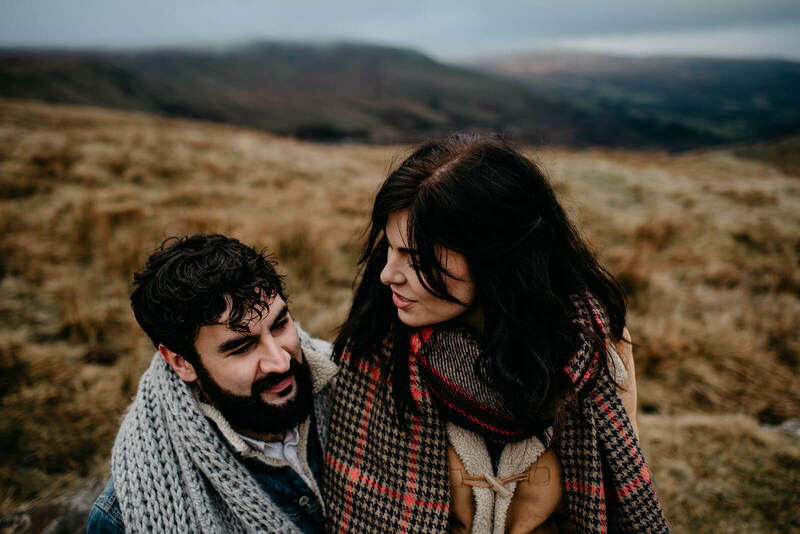 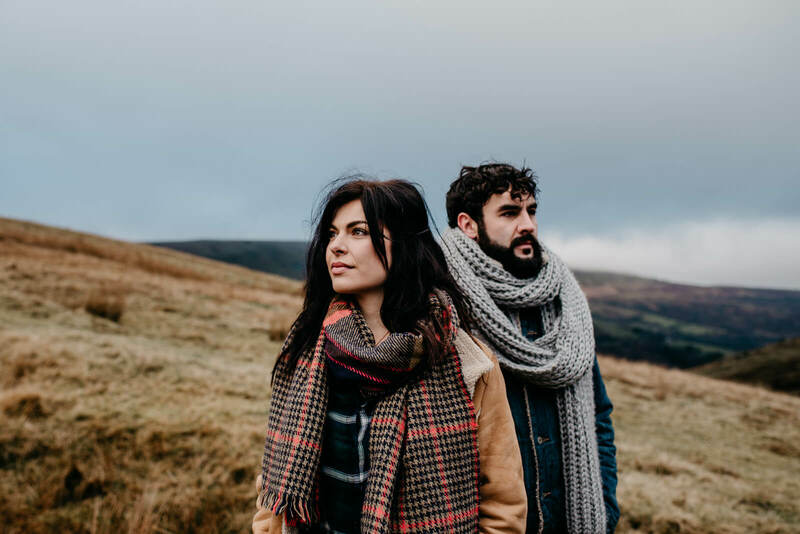 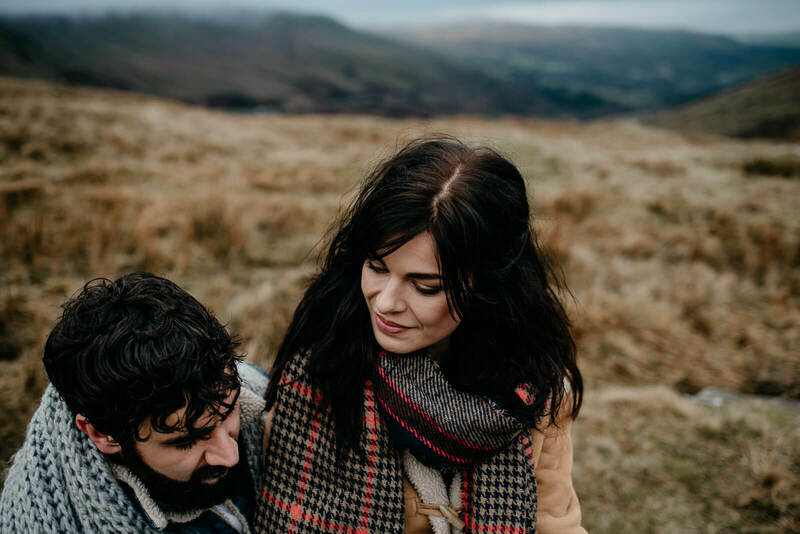 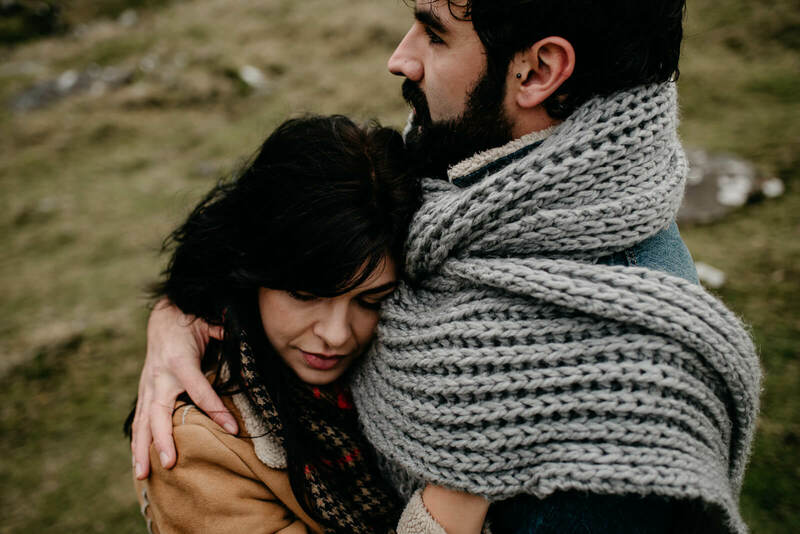 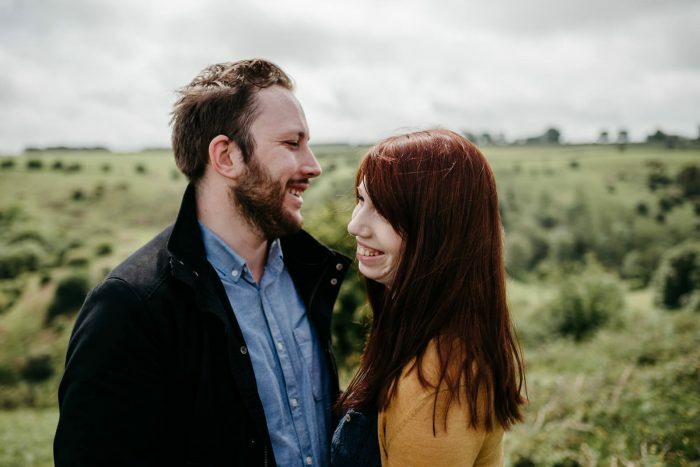 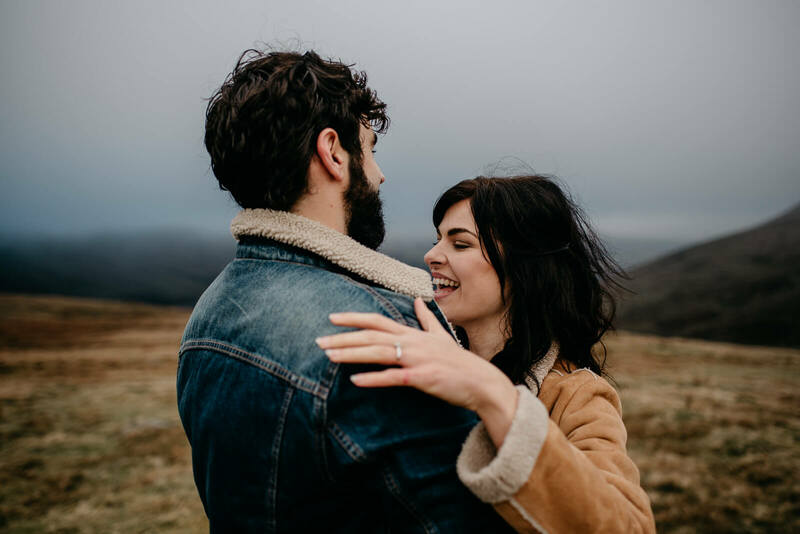 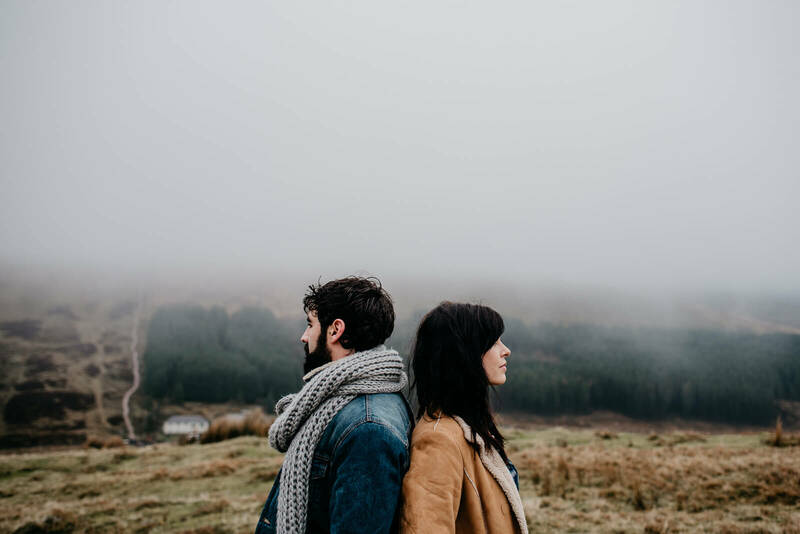 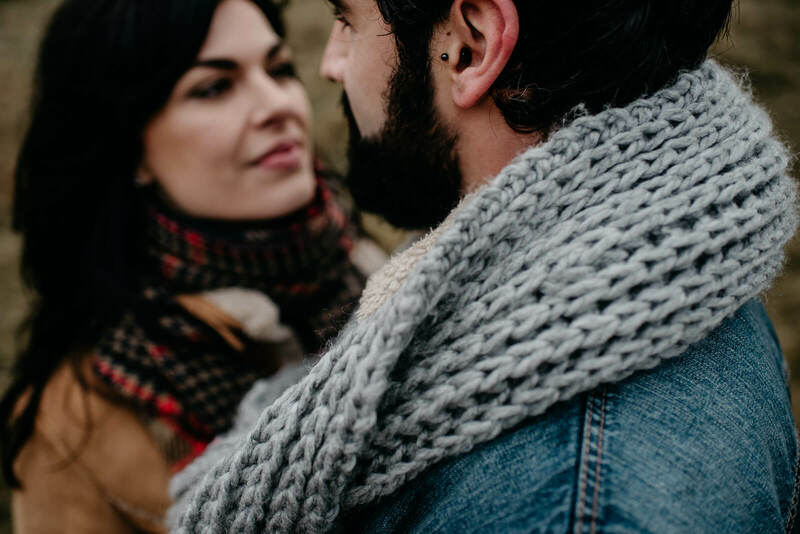 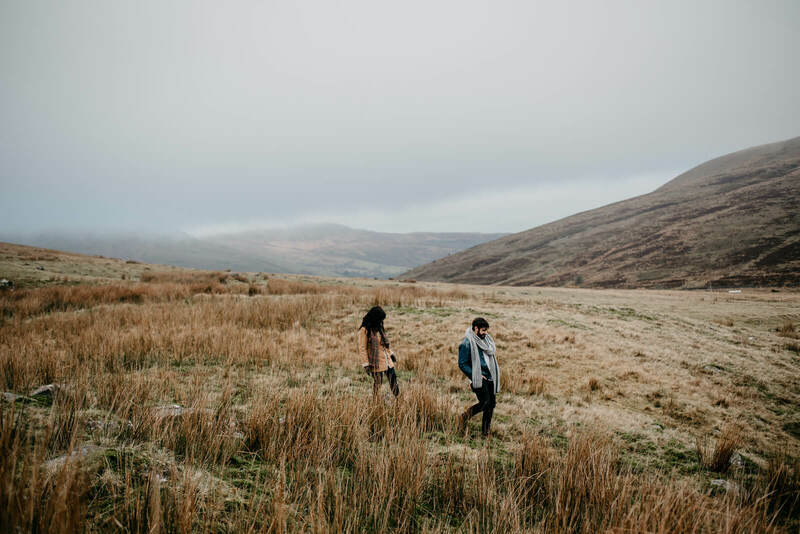 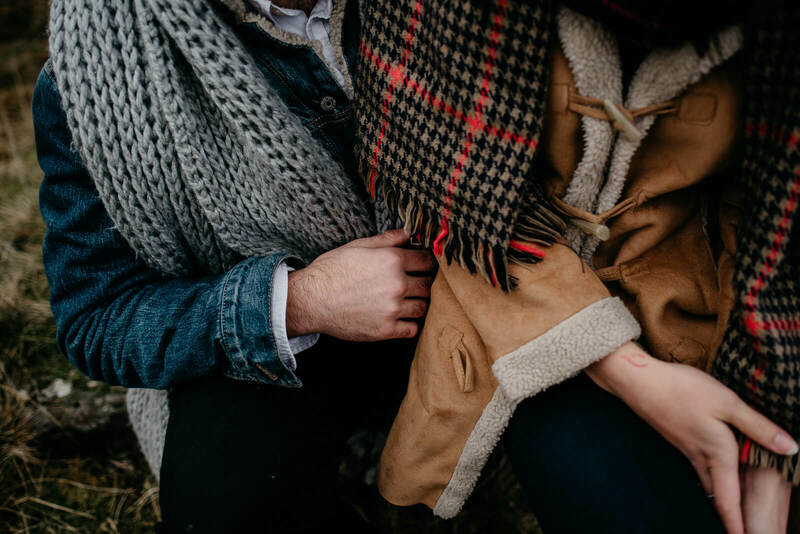 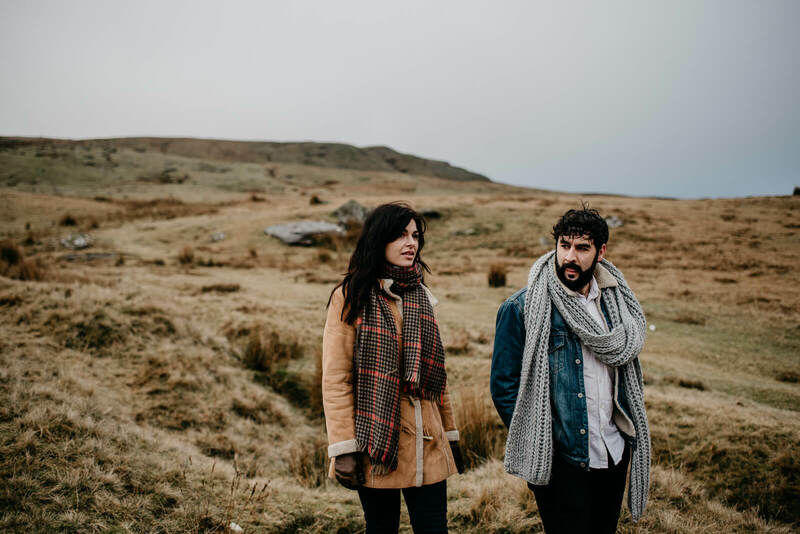 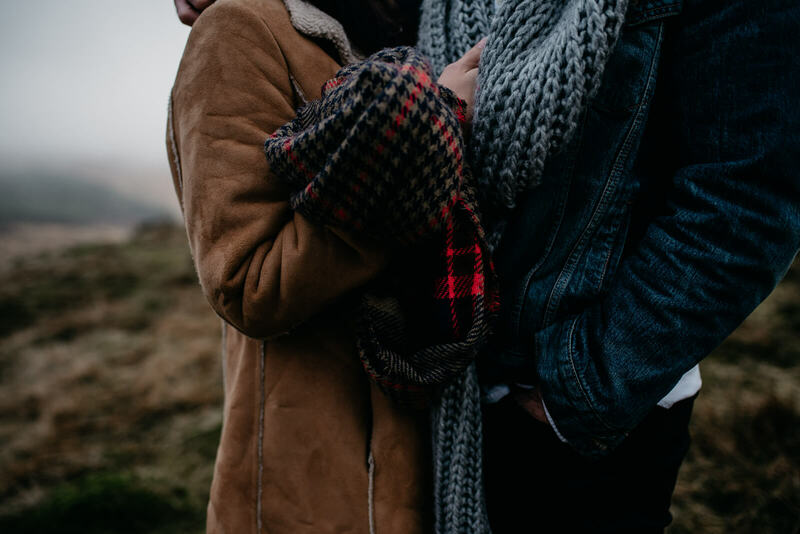 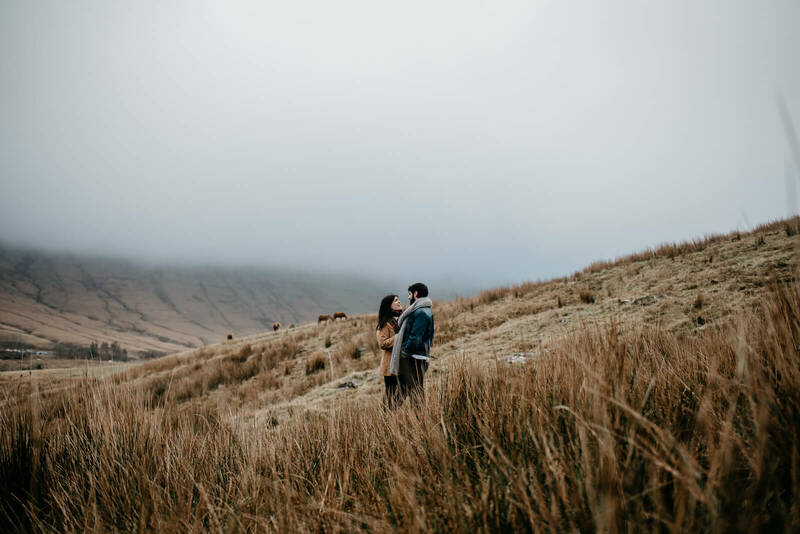 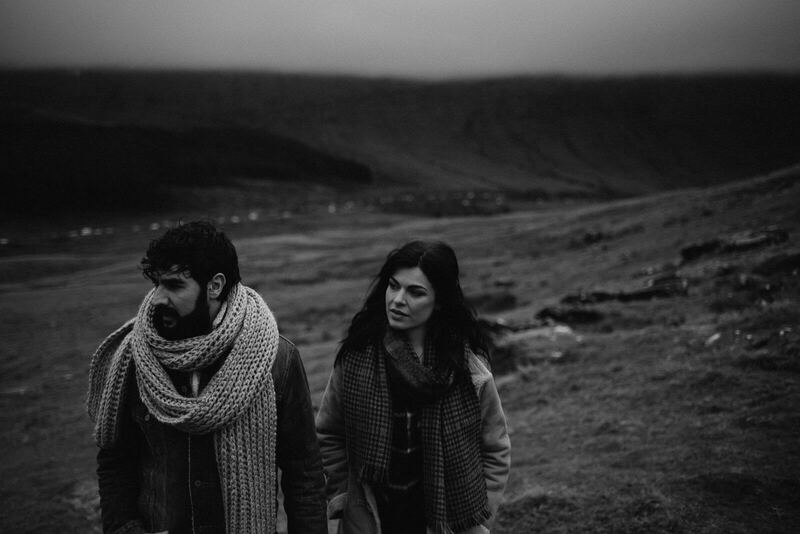 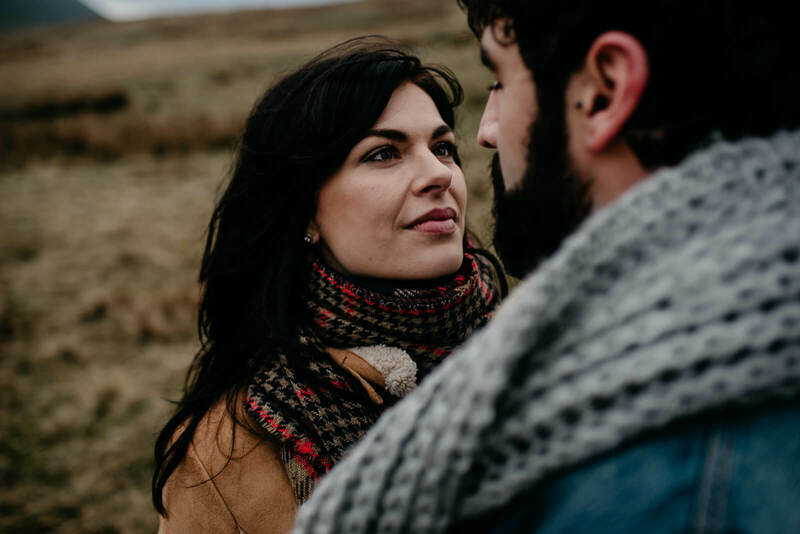 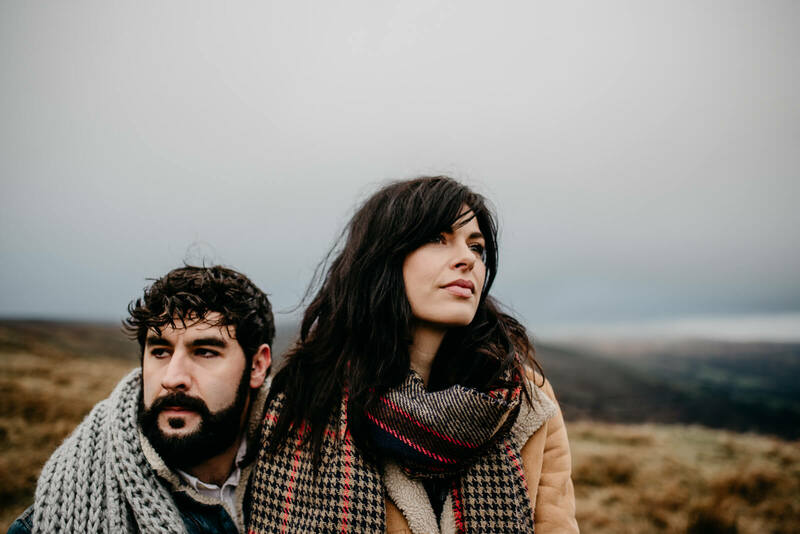 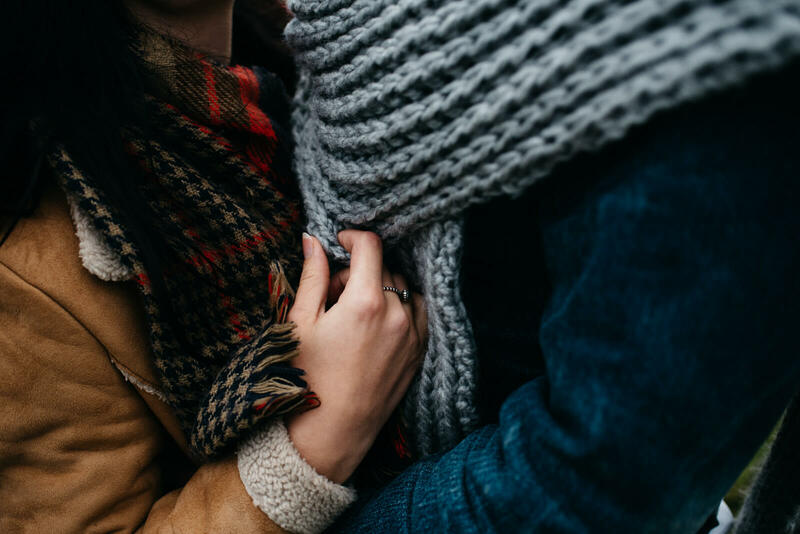 A wild and adventurous winter engagement session in the Brecon Beacons. 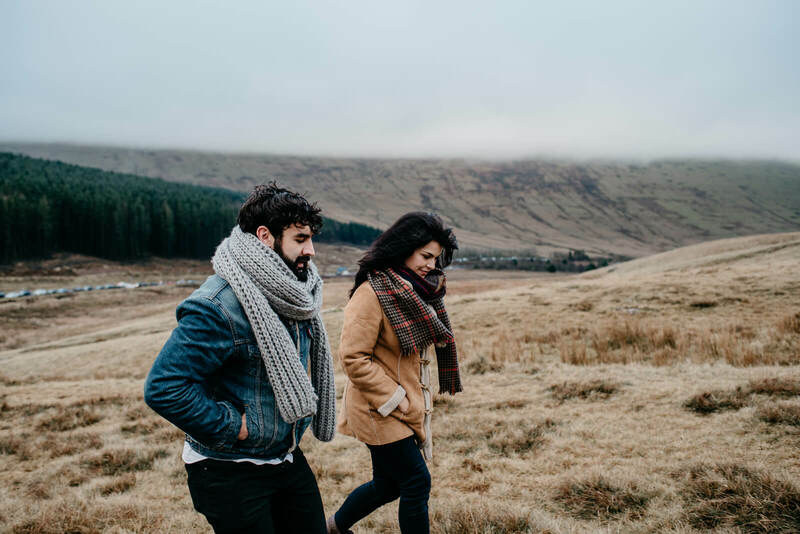 On a very cold, misty January day Beth An & Drew and myself of course, explored the wilds of Brecon Beacons National Park. 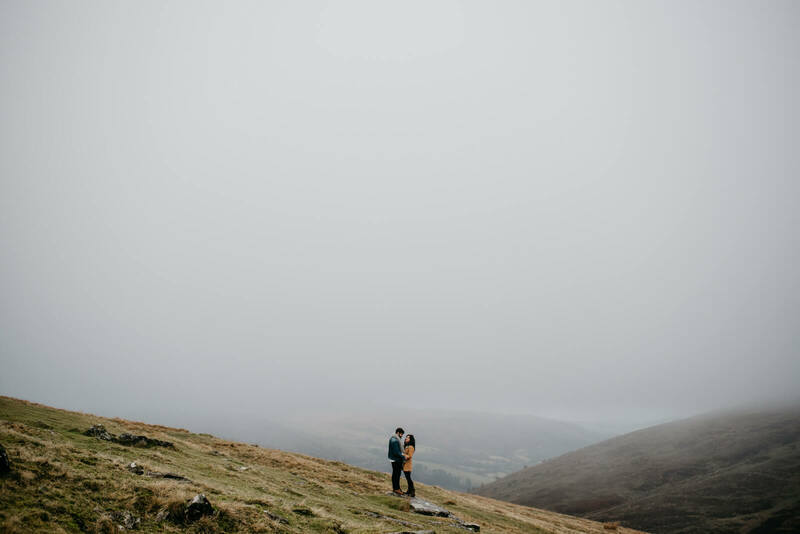 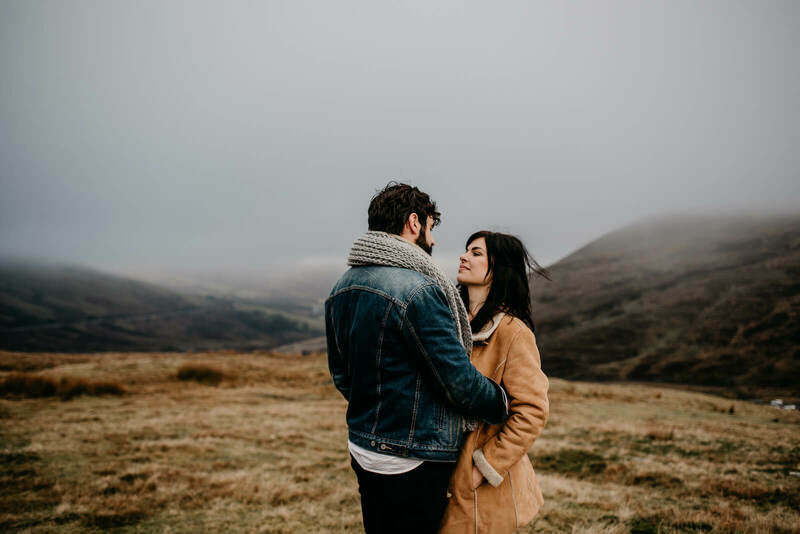 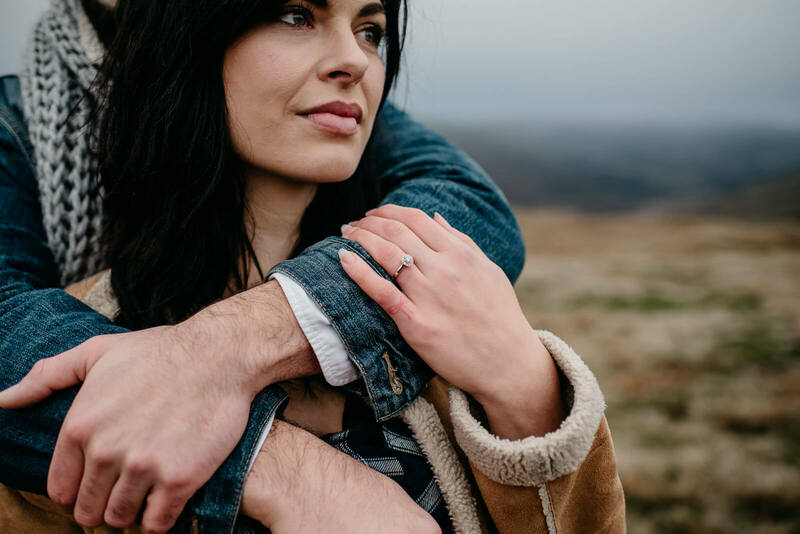 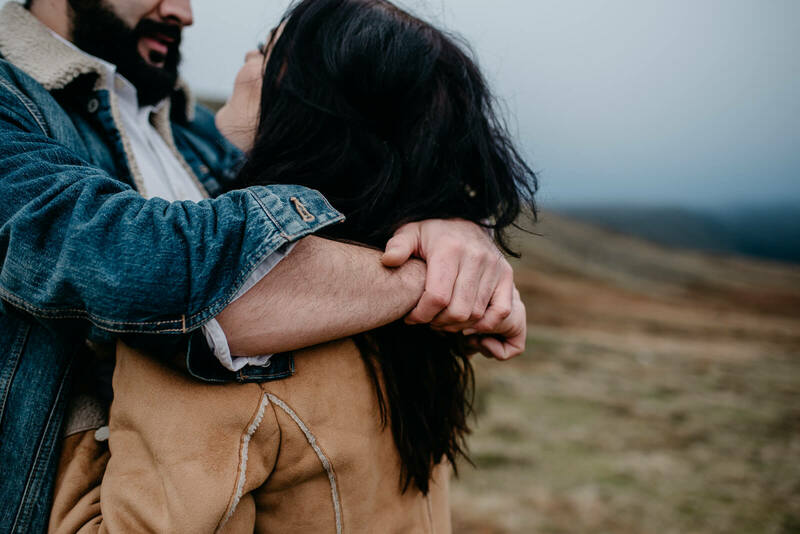 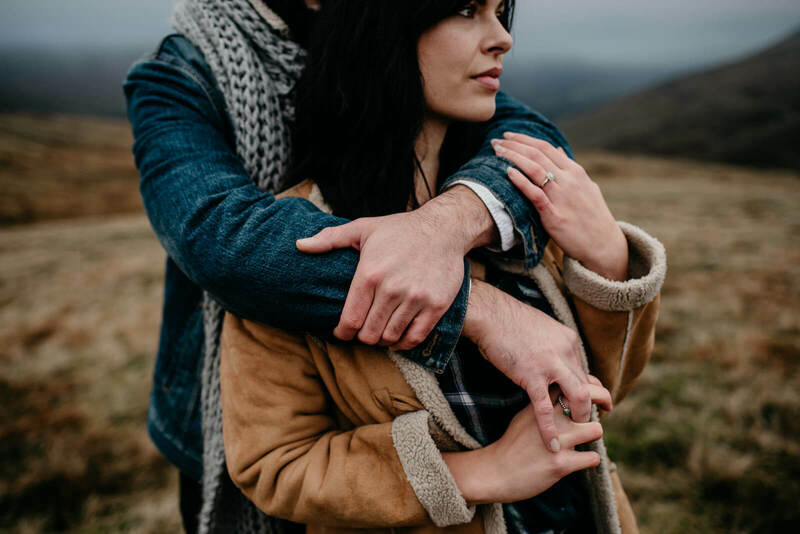 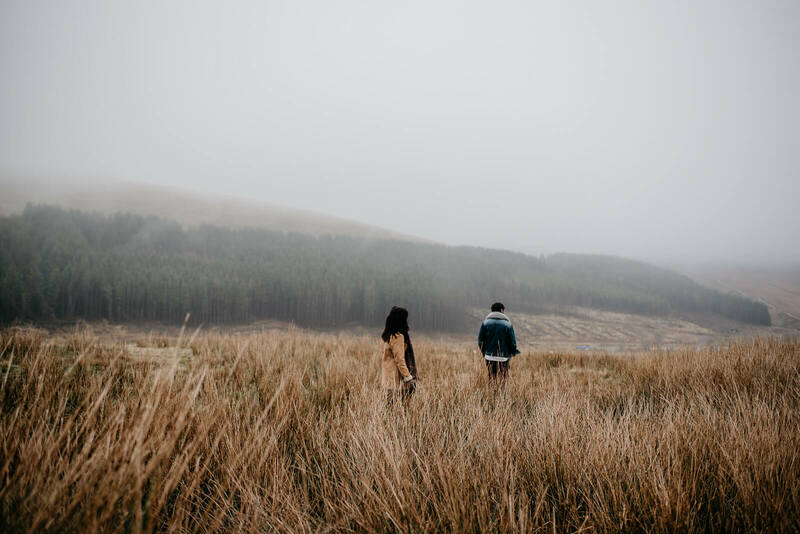 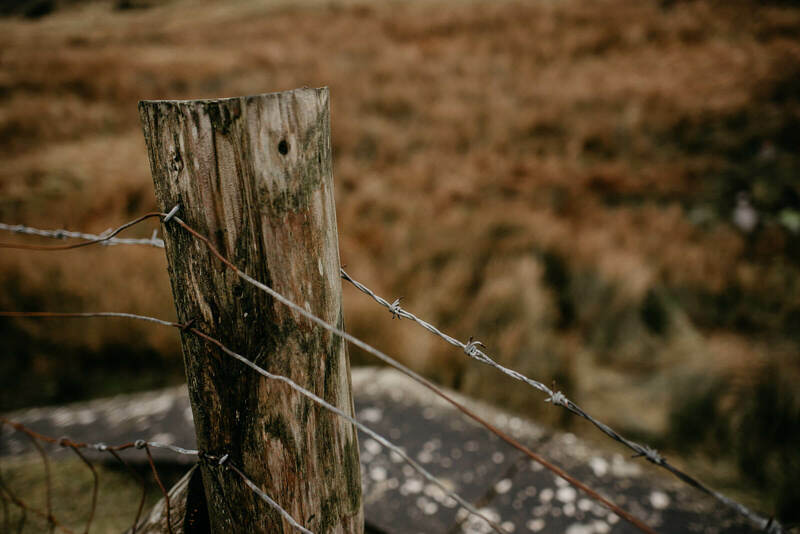 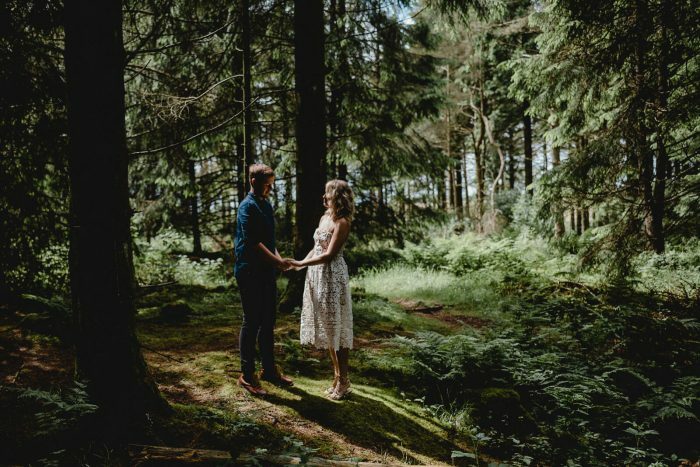 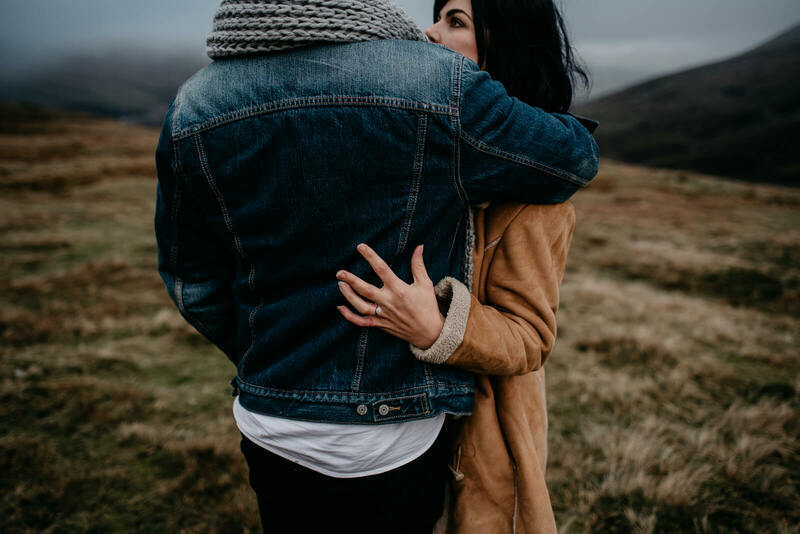 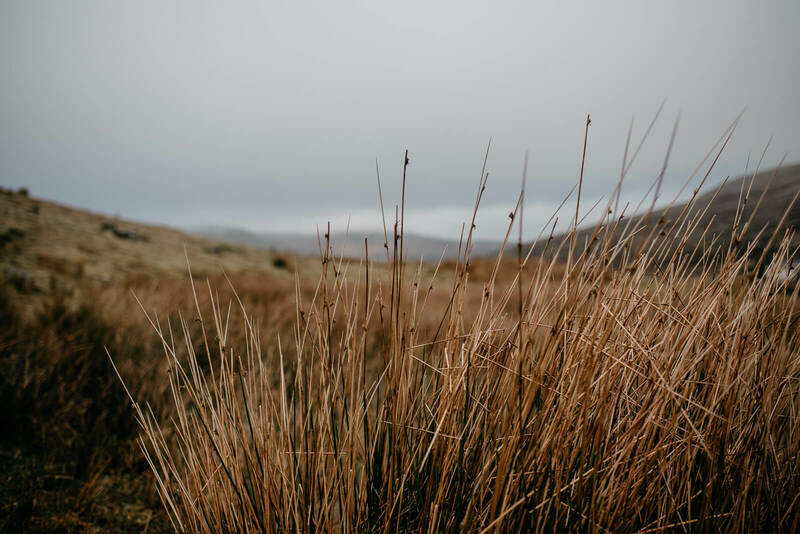 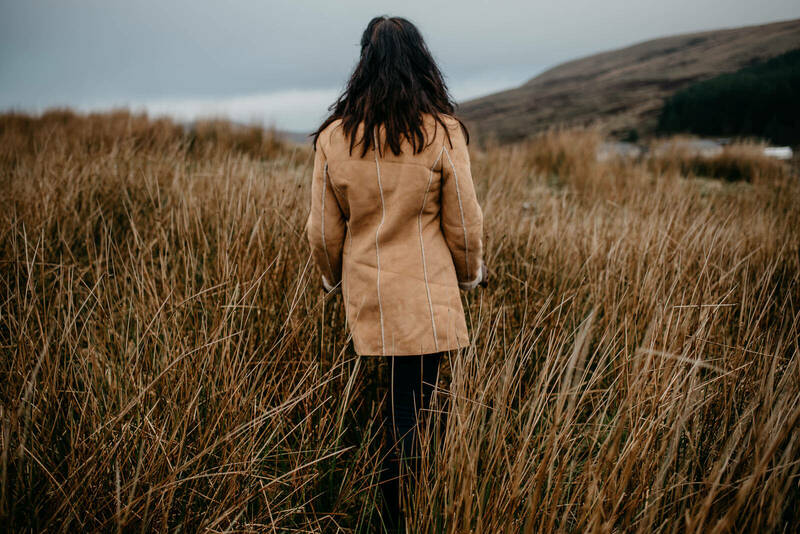 The vast expanse of rugged outdoor wilderness makes for an incredible location for an adventurous engagement session, and reminds me so much of Glencoe back home. 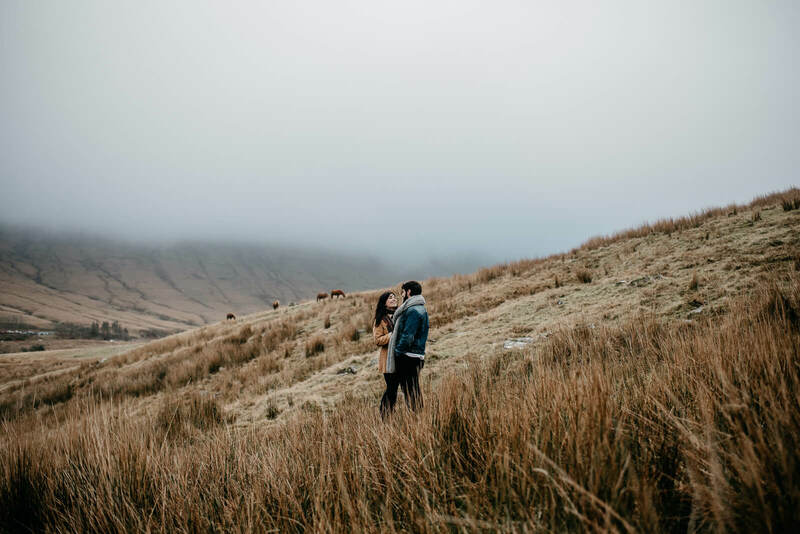 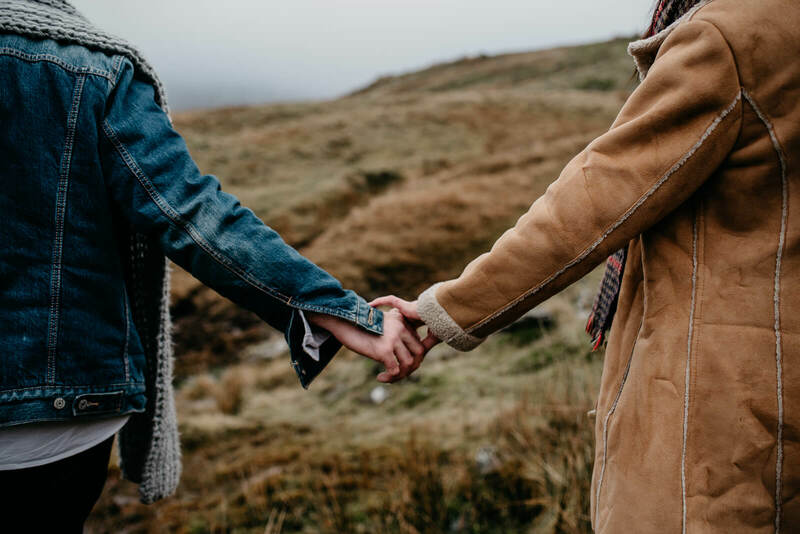 It’s such a shame that Welsh and English law is so different to Scot’s Law, as Pen Y Fan would make for a spectacular location for elopements and vow renewals. 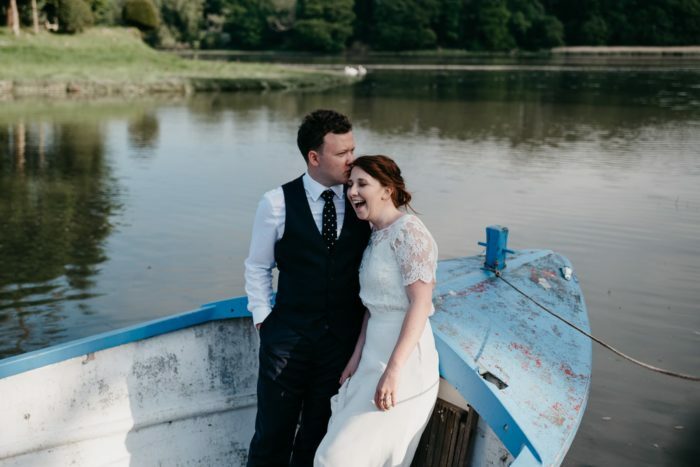 I first met Beth An and Drew at Rhys and Laura’s Caerphilly Castle wedding. 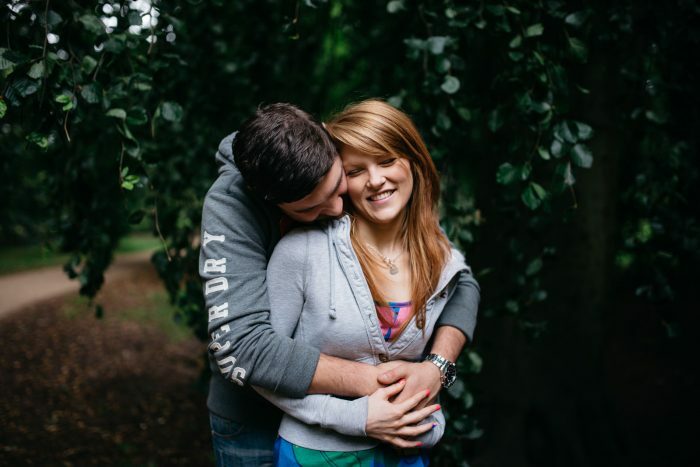 At the time Beth An was pretty pregnant but that didn’t stop her owning the dance floor. 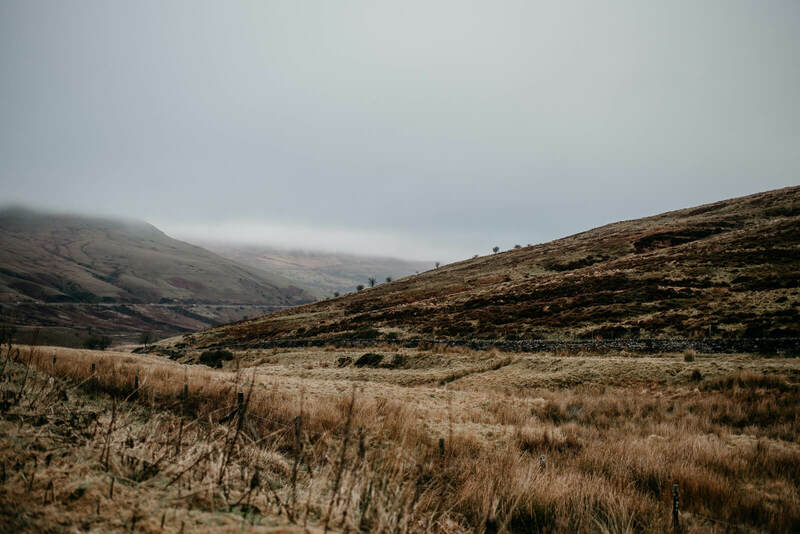 We met at Storey Arms, and set off up Bryn Du towards Fan Fawr to take in the valley views and catch a few glimpses of the snow covered Pen Y Fan nearby.